The 4star luxury hotel, Louis Ledra Beach is located in Paphos, situated on the coastline looking out onto the majestic Mediterranean sea. The 4 star hotel in its premier setting is just a walk along the promenade from the UNESCO world heritage proclaimed city. With close range from major historic attractions, shops and entertainment, our family hotel let you easily explore the entire Paphos area and all the beauties it has to offer. With food perfectly presented, our tantalizing choice gala menus will have you and your guests feeling fully satisfied. 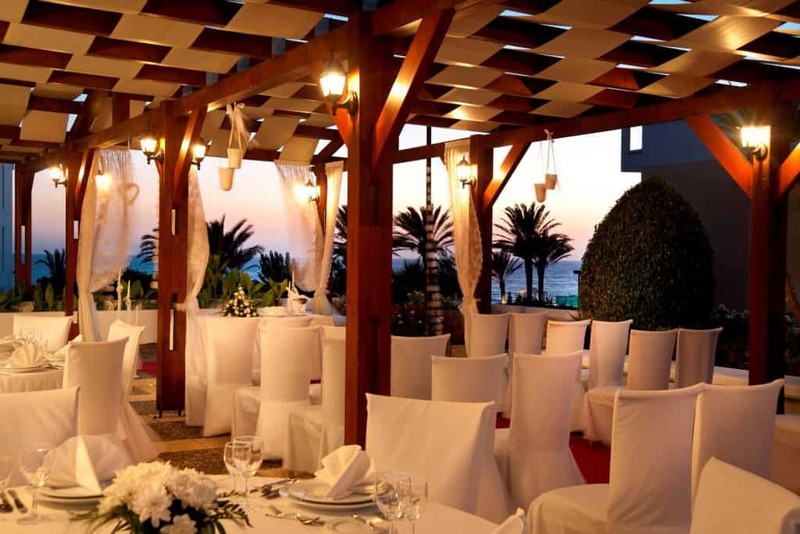 Not only is your wedding banquet delicious, but your surrounding really set the celebrations off on our Aspelia Terrace, situated in just the right location for the globally acclaimed Mediterranean sunset.